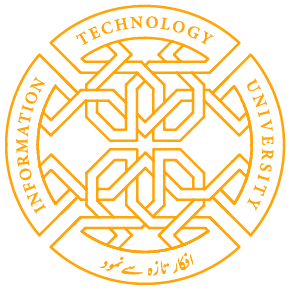 The opening of the admissions cycle will be announced by ITU. This announcement will be made on the ITU website and through print and electronic media, including Urdu and English newspapers, Facebook, Twitter etc. The Academic Calendar is available here. Applicants will register and apply through the online admission form available here Only those candidates who have submitted complete applications, and meet the Eligibility Criteria will be considered. Eligible applicants will be invited to take the ITU Admissions Test in Lahore. Applicants may be exempted from the ITU Admissions Test if they have taken SAT. For details about submitting SAT scores please click here. Shortlisted candidates shall be called to ITU for interviews. Admission decisions will be dispatched. Admission to ITU is based on the following factors. Selected candidates will be informed of the admission decisions through the ITU Merit List, SMS and email. The ITU Merit List will be displayed on the ITU website. All admissions will be provisional, and shall be confirmed after receiving proof of academic requirements. If a selected applicant fails to meet the Eligibility Criteria in the Intermediate (or equivalent examination), their admission shall immediately stand cancelled. ITU reserves the right to cancel the admission of students involved in any undesirable or illegal activity. ITU also reserves the right to cancel admission of a student at any time if the student is found to have submitted false information/documents. Applicants will register and apply through the online admission form available here.Only those candidates who have submitted complete applications, and meet the Eligibility Criteria will be considered. Eligible applicants will be invited to take the ITU Graduate Admissions Test in Lahore.